Thanks for coming to see us this fall - we will remain open all winter! What a great year it was for apples - here is one of our full apple branches! One of our most popular products - Apple Raspberry cider! 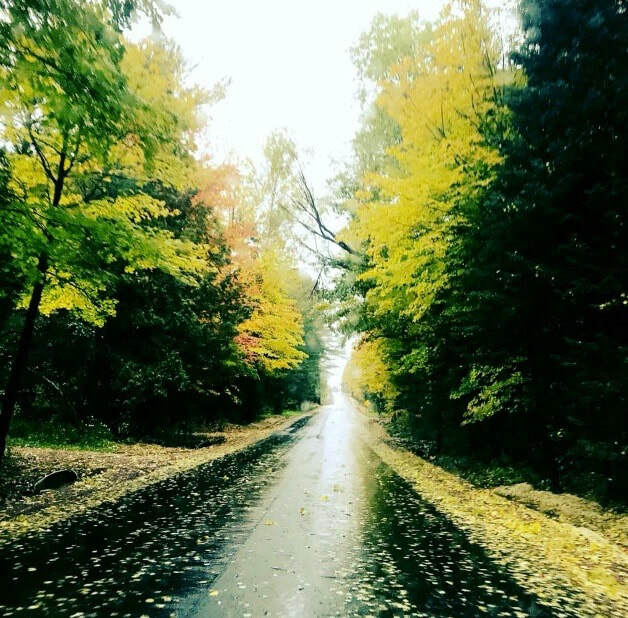 The beautiful road to our orchard - the fall leaves sure were a sight this year! 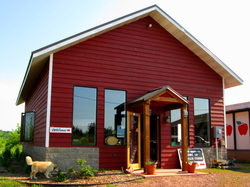 We are an organically managed tree fruit and berry orchard, located in the hills above Bayfield, Wisconsin. We grow apples, pears, blueberries, raspberries, currants, cherries and peaches! We make a variety of unique and savory jams, jellies, fruit butters, fruit mustards and ciders with our fruit! Located on the shores of Lake Superior, we are in the perfect micro-climate to grow outstanding fruit - we think you will agree when you taste the fruit and products from our orchard! Some of our beautiful Honeycrisps.